I remember when I set-up my Twitter profile and sent my very first “tweet”. It was glorious! I had officially joined the ranks of Twitterverse and was welcomed with many @katrinachesney embraces. As I worked on being active in the community and building relationships with my followers, I found I was also spending an ample amount of time on the Internet trying to figure out the best way to manage my Twitter profile and tweets. 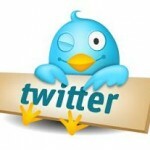 What I discovered along the way was how to manage Twitter in 4 easy steps. Work these 4 steps consistently and Twitter won’t work you! There are tons of social software clients available to help you manage your Twitter account and maximize your social networking efforts. Most are free and allow you to manage your Twitter profile, tweets, and other functions all in one place. Here’s two of the most popular ones. HootSuite: If you manage multiple Twtitter accounts or share your Twittering duties with friends or co-workers, HootSuite’s for you. If you’re interested in tracking how many people click the links you tweet out, HootSuite can help. If you want to pre-schedule your messages or feed your blog (or any other rss feed) to Twitter, HootSuite has got you covered. Tweet Deck: Also available on iphone, Tweet Deck is your personal browser for staying in touch with what’s happening now, connecting you with your contacts across Twitter, Facebook, MySpace and more. This is a great management tool for individuals with several social networking profiles to manage. Decide early on how much time you will devote to your social networking efforts on Twitter and how often (daily, weekly, monthly, etc.). Not only will this help you manage your time but it will also help you maintain your sanity and not become a Twitter addict.